Fr. 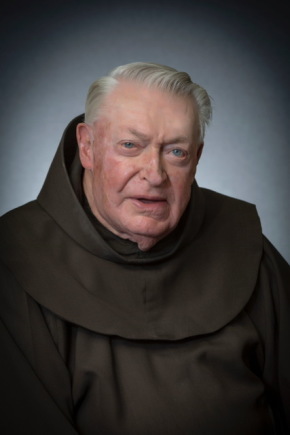 Jeremiah McGinley, OFM, 89, a professed Franciscan friar for 67 years and a priest for 63, died on Aug. 30 at Holy Name Friary. Fr. McGinley was assigned in 1985 to St. Anne’s Parish in Fair Lawn, N.J., where he served for 20 years. In 2005, he was assigned to Sacred Heart Friary in East Rutherford, N.J. While there, he worked at St. Anthony’s Guild and helped at local parishes including St. Anne’s, where he often participated in St. Patrick’s Day festivities. In 2008, he moved back to St. Anthony Friary in Butler and retired there four years later. Fr. McGinley is survived by several cousins: Elizabeth McGinley Fox and late husband Edward of Evansville, Ind., Barbara Davis Makarewicz and husband Peter of Rochester, NY Mary Davis of Buffalo, NY, Judd Brown and wife Deborah of West Valley, NY and Carol Sundberg of Western New York. He is predeceased by cousins Mildred Davis and Ann Brown.